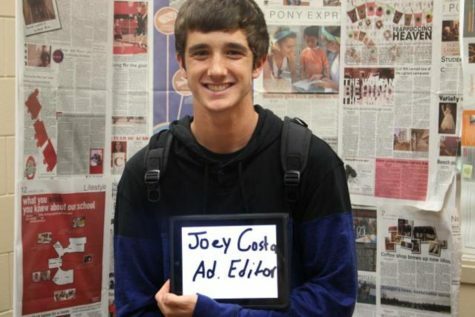 Joey Costa is a 2016 graduate who lives in Stillwater with his mom, dad, sister and three dogs. Football and year round baseball mainly use up his free time, but when he does he likes to hangout with friends and do activities outside. He also enjoys snowmobiling in the winter and fishing in the summer.